The Victor Jr. Sportsman 2V manifold is a dedicated design for the 2V racer and provides outstanding performance from 3500 to 7000 rpm. The runners are sized especially for 2V racing engines for the ultimate combination of torque and horsepower with better fuel distribution. An extra tall carburetor pad eliminates the need for spacers, and rear water outlets allow for a four corner coolant flow path if desired. It features dual distributor clamp locations, and port exits are sized to match cast iron Chevrolet Bowtie heads. 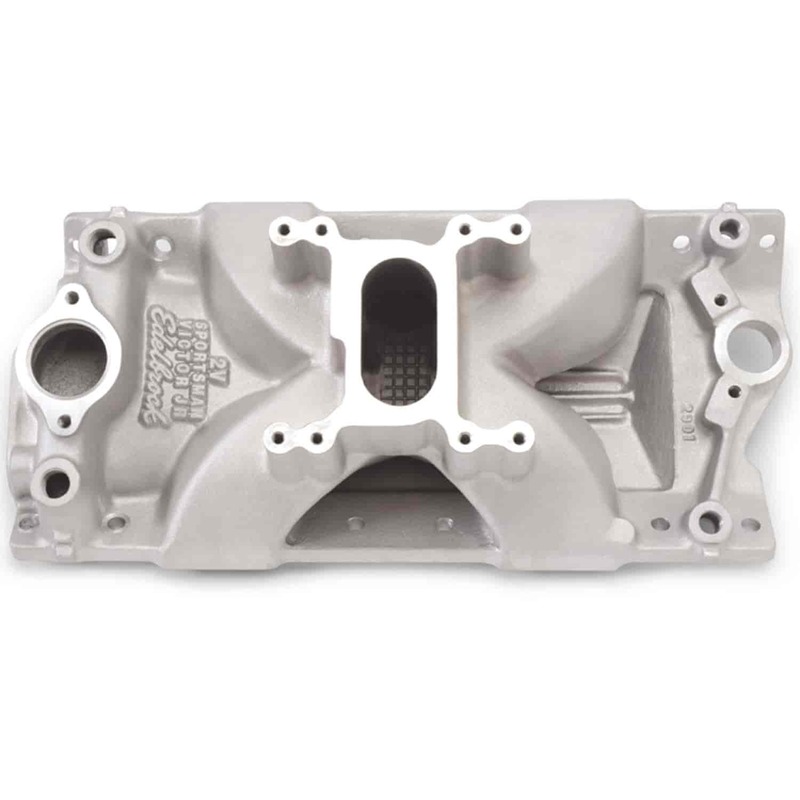 The Victor Jr. Sportsman 2V p/n 350-2912 for Vortec heads has all the features of p/n 350-2901 for the racer using the popular GM (Vortec L31) cast iron cylinder heads. Both manifolds accept standard restrictor plates and carb adapters. Carb pad height = 5.98'' with 0° carb angle.